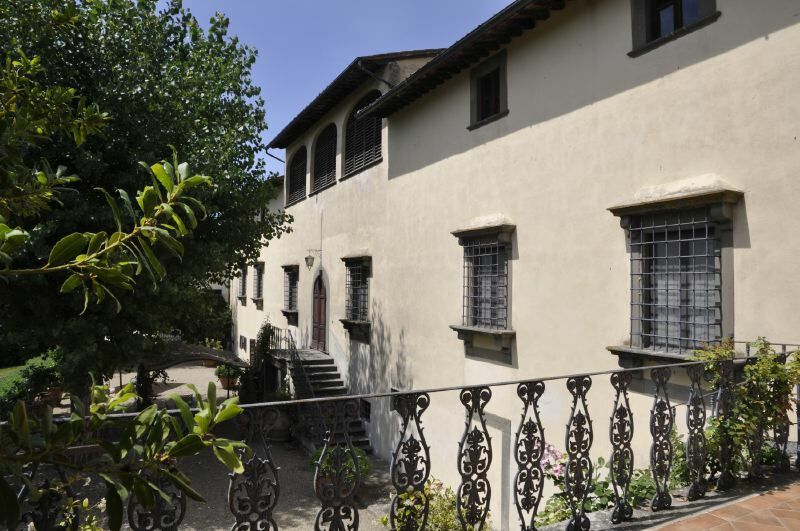 This a prestigious country house from middle of the 16th century, once the property of a noble florentine family. The furnishings consist of valuable antique pieces from the 18th and 19th centuries, and of particularly interest are the splendid lacunar ceilings, the frescoes and the old consecrated chapel. Outside there is an italian garden on the side in front of the main facade, and at the rear, a large grass lawn sloping gently down towards the swimming-pool as well as several shady, furnished areas. The swimming-pool (5x10m) lies in a beautiful panoramic position overlooking the surrounding countryside and hills. 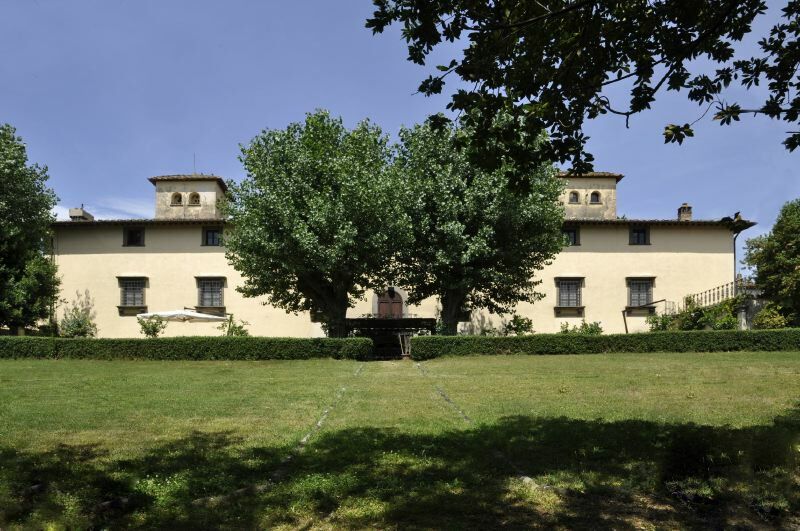 The villa is at the heart of a farm producing Chianti Classico, olive oil, grappa and honey. There is also a charming restaurant run by the owners, which can be reached on foot, for those who would like to try the typical dishes of tuscan cuisine. On request a cook is available, along with domestic help and a baby sitter, catering service, and extra linen changes. Just 3 kms away is Cerbaia, with all kinds of shops, 8 kms to San Casciano, 20 kms to Florence, 25 to the airport, 44 to San Gimignano, and 60 kms to Siena. There is a riding stable about 500 metres away, tennis courts 3 kms away and golf 10 kms. GROUND FLOOR: dining-room with access to the garden, large kitchen/dining room with fireplace and next door TV room, 1 bathroom with shower. FIRST FLOOR: large living-room with fireplace, living-room, small living-room with fireplace, dining-room, billiards room, 3 double bedrooms, 2 twin bedrooms, 2 bathrooms with bath-tub.